CES 2013: Vizio refreshes their computer range: keeps the same industrial design! This time last year Vizio launched their first ever range of computers as the company sought to branch out form their hugely popular television range. Last year the computers were complemented on their metal construction, but they had something lacking when it came to performance and some things like the trackpads. 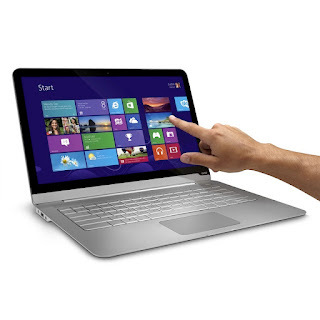 "Both the 14- and 15-inch Thin + Light Touch are available with either a Core i7 CPU or AMD's top-of-the-line A10 chip. Likewise, the 24-inch all-in-one is now the All-in-One Touch, and it too will be available with AMD and Intel processors. The 27-inch model, however, will be Intel-only." All of these computers have 1080p screens apart from one, which is the 14-inch Thin + Light. That one has to make do with a very respectable 1,600 x 900 resolution display. Also, it's worth bearing in mind that Vizio offers you a clean install of Windows, not one with hopelessly large amounts of bloatware! At the moment Vizio doesn't have any specifics when it comes to pricing, but they have announced that they'll be coming to a store near you half way through February! Here's Vizio's new touchscreen laptops!